To transform in a moment's notice is a beautiful thing. With the power of make-up you can go from your average self, to a beautiful butterfly. Get ready for life in the circus as a clown, or as a swashbuckling pirate. Maybe you prefer to be a mime who performs daring acts of being stuck in a box. But, kids might want something louder like to be a scary monster. 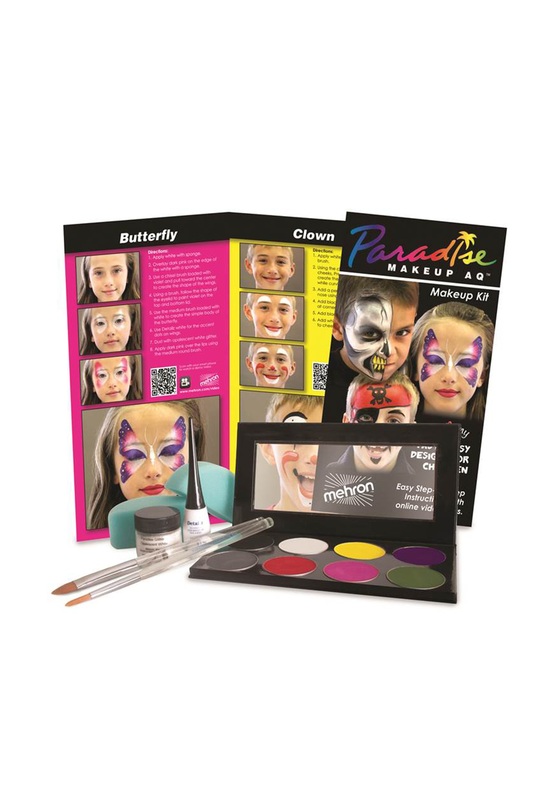 The opportunities are endless with the Face Painting Kit. With simple instructions you can create a beautiful piece, or freestyle it and paint something brand new. The main thing you need to remember is try not to make it too scary! Have fun with these professional face paints, and create some unforgettable looks. Get ready to bring out your inner artist!